The Armenian Church is one of the most ancient churches of Christendom, founded by the apostles St. Thaddeus and St. Bartholomew between 35 and 60A.D. Furthermore, for centuries, Armenians have been graced to have holy church fathers who walked and worked tirelessly in the path of Christ. Besides spreading the word of God, the Armenian holy church fathers also wrote and composed inspira­tional spiritual songs as spiritual gifts in gratitude to God. The vast majority of Armenian spiritual songs were authored and composed during the medieval period by unknown authors. Be they known or unknown, through their strong faith in Christ and selfless dedication to the Armenian Apostolic Church, they wrote hymns through which for millennia, the children of our nation accepted Christ as their Savior and became one with Him. In recognition of their priceless devotion, I humbly dedicate this album to them with infinite love, awe and respect. The present work is comprised of twenty solo melodies, odes and sharagans (hymns). 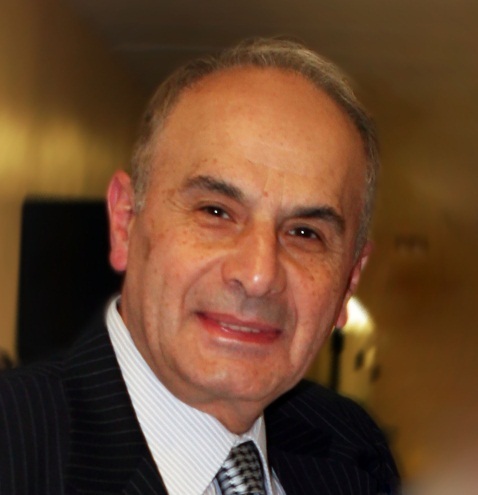 Although many of them are familiar spiritual songs in the Armenian Apostolic Church, I have deliberately selected versions of some spiritual songs that are infrequently heard. Moreover, spiritual songs with similar melodies in each of their stanzas are not sung in their entirety in order to provide space for a variety of other sacred songs in the album. 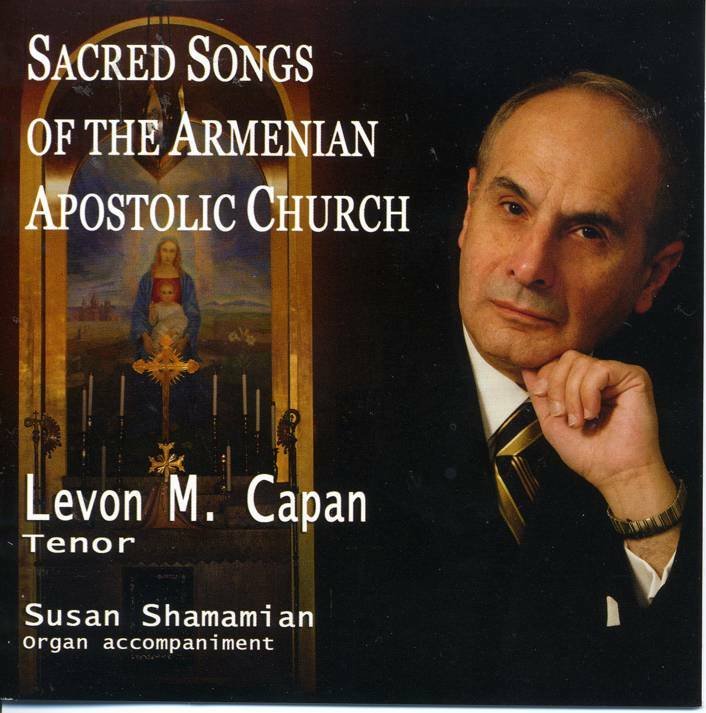 The recording of this album was made at Saint Thomas Armenian Apostolic Church of Tenafly, New Jersey. I thank the Pastor, the Very Reverend Father Papken Dz. Vartabed Anoushian, Esq. and the Parish Council for their permission to conduct the recordings in the sanctuary. I further thank Father Papken for helping me in the preparation of this booklet, particularly for his translations and transliterations of the sharagans into English, and elucidations that he provided for each of them. Moreover, I thank Ms. Susan Shamamian, choir director and organist of Saint Thomas Church, for not only spending numerous hours accompanying me on the organ during rehearsals and recordings, but also for her invaluable advice in preparation of this work. Also, I thank Mr. Marco Granados, an accomplished flutist and sound engineer for directing me, as well as recording, editing and mastering this project. 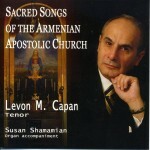 I had several goals for the preparation of this project, to wit, to introduce the spiritual songs to those unexposed; to present an anthology of centuries-old spiritual treasures of the Armenian Apostolic Church for yearning souls; and, however minuscule in its intent, to contribute for the betterment of Armenian Apostolic Church music. I hope, at least partly, if not completely, to accomplish my goals through this project. Any weakness in this project lies in my selection of repertoire, vocal and linguistic deficiencies, and editorial shortcomings. I accept all criticisms with respect to the project in their entirety as mine and trust that the beauty of our sacred church music written by our holy church fathers will shine forth through any murkiness imposed by my inadequacies. The words of the Lord’s Prayer were first uttered by our Captain of Salvation Jesus Christ, God Incarnate; as He was teaching about prayer and how to pray. The Lord’s Prayer may be found in the Gospel of St. Matthew 6:9-13. This divine spiritual song is the work of one of the most prominent theologians of the Armenian Apostolic Church, St. Nerses Shnorhali. It was authored in the 12th century and is sung during the Night Hour or Nocturns. The Night Hour is the first of the Canonical Hours (Prayer Services in a day) and is celebrated as an address to God the Father. Khatchadour Vartabed Daronatzee, who lived in the 12th century is the original author of this magnificent spiritual song. It is sung during vesting of the celebrant for Divine Liturgy. This exquisite 12th century spiritual melody is, originally, the work of Bishop Parsegh Trazargtsce. It is sung during the Preparation Phase, which is the first phase or part, of Divine Liturgy. Throughout history, the Armenian nation has, deservedly, been a Nation of God. And, in gratitude to that privilege She has composed angelic metodies. This adorable medieval melody is sung during the Preparation Phase of Divine Liturgy. The Armenian Apostolic Church, which is inseparably intertwined with the Armenian nation, has seen in the Resurrection of Christ the ultimate purpose of life and the actualization of God’s Plan for the entire humanity, on this world. This unsurpassed melody, which is sung during the Preparation Phase of Divine Liturgy, heralds the good news of eternal life to the world. Resurrection itself was the attestation of Christ’s victory over death. The gates of hell were eternally destroyed for those who choose to have eternal life in God’s presence. Through this soul-stirring spiritual song, the Armenian Apostolic Church celebrates eternity, as the unleavened bread that will change into the real body of Christ, and the pure wine that will change into the real blood of Christ, are placed upon and poured into the holy chalice during the Preparation Phase of Divine Liturgy. This beautiful melody is sung on Palm Sunday as the Armenian Apostolic Church celebrates Christ’s victorious entry into the Holy City of Jerusalem, the earthly city of Christ, the Anointed One. Christ’s mother is the mother of us all. She is the first and foremost saint of the Armenian Apostolic Church. The main altar of the Armenian Apostolic Church is required to be decorated by her sacred depiction with her baby, Jesus. We must, however, bear in mind that the Armenian Apostolic Church worships God, only. As to saints, the Church highly honors them and asks for their intercession for the faithful, as the Holy Bible directs us to do. This admirable melody is presented to the Holy Virgin Mary, and is sung on holidays that are dedicated to the Holy Mother of God, the Theotokos. The history of our glorious Armenian Nation, is a history of martyrdom and triumph over Evil. For the Armenians, the Cross was the unequaled spiritual weapon in all the battles that we faced in history. It was the love of the Cross that led us to martyrdom and victory in all those battles. The Cross, as is heralded by the Holy Bible is a sign of Christ’s victory; a sign of Christ’s Resurrection and eternal life; a sign of glory; and as St. Paul puts it the “power of God.” Based upon these premises, the faithful worship the Cross. By worshipping the Cross, the faithful do not worship the material of which the Cross is made of, but rather, they worship the very person of the crucified Savior and the “power of God.” This venerable melody is sung during Divine Liturgy on days dedicated to the Holy Cross, the Tree of Eternal Life. The Armenian Apostolic Church, literally, believes that angels are always invisibly present in the Church, the House of God, and that they participate in all services held in the Church. The angels pray, sing and celebrate with us. This celestial hagiody is sung during the Holy Sacrifice Phase, which is the third phase or part, of Divine Liturgy as the deacon brings the holy chalice in a procession to the celebrant. In the New Testament, our Lord and God, Jesus Christ, taught us that in paradise we will live as the angels do. What a saintly and joyous life is awaiting us in Heaven. This inspirational hymn is called the Sanctus sung by the angels in infinite praise of God (Is. 6:3; Rev. 4:8). The melody of this spiritual song is centuries old and is the composition of the faithful of the Armenian Apostolic Church of Istanbul, Turkey, as a spiritual gift, in gratitude to God. This exceptional hymn is, originally, the work of Catholicos Simeon Yerevantzee who lived during the 18th century. For centuries, the faithful in the Armenian Apostolic Church sang this ethereal hymn with tears of joy, thanksgiving, sorrow and hope and spiritually ascended from this world into heaven. This spiritual song is sung before reception of Holy Communion, the life-giving body and blood of God Incarnate, during the Divine Liturgy. This is one of the oldest hymns of the Armenian Apostolic Church. It was authored by Movses Kertoghahayr who lived in the 6th century. It is sung during the ceremony dedicated to the Baptism of Christ on the day of Theophany; the celebration that encompasses the nativity and baptism of our Savior, Jesus. This unparalleled spiritual song is the work of St. Nerses Shnorhali, that echoes from the 12th century. It is sung during the Order of the Common Prayers of the Sunrise Hour, which in the Armenian Apostolic Church is the third Canonical Hour or Liturgical Office of the day; moreover, it is performed as an address to the Holy Spirit and the risen Christ who appeared to the Apostles. The Sunrise Hour became part of the Canonical Hours during the 7th century by the order of Catholicos Yezr Parajnagerdtzee. Originally it was written in Aramaic in the 4th century. Later, during the 11th century, it was translated into Armenian by Catholicos Krikor Vgayaser. It is sung during the ceremony called Open the Gate on Palm Sunday evening. During this ceremony the faithful contemplate the Second and Final Coming of Jesus Christ and the Day of Judgement – the Parousia. This unsurpassed spiritual song is believed to have been authored by Bishop Arakel Siwnetsi in the 15th century. It is sung during the Washing of the Feet Service on Great Thursday. This soul-stirring spiritual song is believed to have been authored by Bishop Arakel Siwnetsi in the 15th century. It is sung during the Vigil on Great Thursday. This service is dedicated to the Passion of Christ. Moreover, this heavenly ode is sung in darkness, symbolizing the darkness that fell upon humanity as our Lord of Salvation, the Messiah, was betrayed. This divine hymn was written in the 12th century by St. Nerses ,Shnorhali for the repose of souls. In regards to prayers for the souls of the dead, the Holy Bible, inter alia, directs the living faithful to do the following: ” Give graciously to all the living, and do not withhold your kindness and your favor from the dead” (Ecclesiasticus 7:33). This spiritual song is sung during the Blessing and Dismissal Phase, which is the fourth and final part, of Divine Liturgy and is taken from Psalm 33:1.